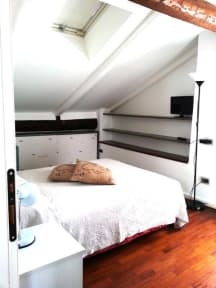 Gioia House i Milano, Italia: Bestill nå! 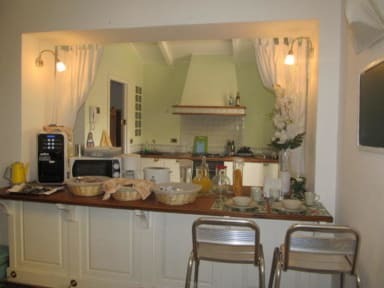 Gioia House is a small guesthouse, with an intimate and familiar atmosphere. Gioia House is located in Milan's Porta Venezia, in a 'house of railing'. Just a few minutes away, the shopping streets, Corso Buenos Aires, Via Montenapoleone and Via della Spiga. Each room is timeless, tastefully furnished in vintage style and part of a house that has preserved terracotta flooring, parquet floors and ceilings with wooden beams. A kitchen in shabby style to start your day with a hearty breakfast and a small terrace with flowering plants and fruit trees to relax. Staying in Gioia House means to belong to those people who love to surround themselves with beautiful things even when they travel.